Super excited for the @Hubdoc takeover on #QBOchat. Plooto checking in from Toronto & Brooklyn. Sam from Spotlight Reporting here for a few! Got another meeting in a bit but wanted to drop by! Alexis from ClockShark here! So excited for #QBOchat today! @BizBooksCloud was just up in Toronto for Thrive. Saw a little snow the first time of the year! @QBOchat Natalie here, finally in Portland, OR for good! It’s been a wild month. Happy to be participating in #qbochat! I run NA sales and success at Spotlight Reporting.. Dashboards, Management Reports and Budgets/Forecasting tools! @schultetonya Great to have you as a regular 🙂 #QBOchat Happy Thursday. @goshbookkeeping Good to see another Atlanta firm. @Spotlight_Sam Was hoping to see you last week in Atlanta! @sammy3042 That would have been great. Wish I would have had the chance! #qbochat HOLY DOODLE !!!! Its like a crazy Monday out – PRESENT sorry for being late! Do I get detention after? @JoeManz @Intuit Nice Joe! Welcome to #QBOChat. We’re talking workflow inefficiencies. It’s going to be great. Hi all! TSheets here for #QBOChat! @BizBooksCloud Isn’t that how we always feel after we find great technology? #QBOchat #ExpenseReportsThatDontSuck! A2: @CathyIconis already do that, but there is so many aspects to our jobs 1) onboarding @hubdocs has great cheatsheet for that ! A3: inefficiencies – my own practice – over documenting “just in case” 3 copies of bank statement NO MORE I use @Hubdoc now! 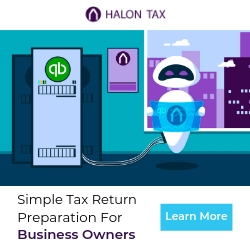 @JoeManz @QBOchat @Hubdoc We will have to get you an Expensify sticker! #QBOchat #ExpenseReportsThatDontSuck! @BizBooksCloud @Hubdoc very cool wit the till reports ! good idea. details ….!!!! @BizBooksCloud @karbonhq @CathyIconis happy to do a session on #qbochat. No longer on the road so calendar is open. a5: @hubdocs even answers phone on WESTCOAST TIME till 5pm pst!!! #qbochat Biggest mistake in scaling a firm is lack of “documented” processes. From #QBFirmOfTheFuture no more than 5% did that. Necessary! 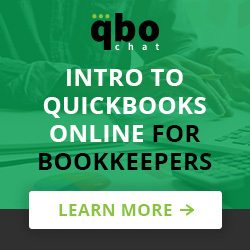 @JoeManz @vheckman @Hubdoc We hope more people learn about it now from #QBOchat! @ian_vacin I need to chat !!! #qbochat top 3 processes for scale: Service delivery (& support), onboarding and then sales & marketing (referral mktg, up-sell, new sales). Ian is awesome! Met him at the Utah #FOTF it was incredible RT @balsamway @ian_vacin I need to chat !!! Thanks everyone for joining today! It was a great discussion. #QBOChat was awesome as usual! ??? @CathyIconis @QBOchat #qbochat Can talk processes all day. Let’s make it happen. Want to step change biz? Faster with processes than mktg. If you want to stop chasing client docs, schedule 15-minutes with us: http://calendly.com/Hubdoc . Talk soon #QBOChat! ? @QBOchat Thanks for hosting another great Thursday of #QBOchat! See you next week. Had a great time today. Thanks for hosting @Hubdoc ! Looking forward to #QBOchat next week.